They offer alot of differnt 1-bottle, 2-bottle 4 and even 6 bottle reusabe wine totes... My recommendation is to get on the phone with them, they are great and will point you in the direction to fit your company's needs. They will even assist you in the design and overall look of the reusable wine tote if you need that like I did. The compact size of these of these bags is perfect! Plus, our logo looks amazing! Super high quality and great appearance! These came out better then I imagined and I was expecting them to be great. Such great quality! Best customer service I've seen when ordering any promotional items. I will definitely be a repeat customer! These came out perfect! Thank you Custom Earth for all your help! Its is truly amazing, can't believe the quality of artwork that was able to be printed edge to edge on these. I am so happy with my order! We love these wine totes!!! The laminated finish really looks great on our bags! We couldn't be happier! We are over the moon with our bags! Thank you so much! Really amazing product. For it's small size, this bag sure can carry a lot of weight! This is the perfect item for our expos! Our clients can't get enough of them! Received today, our logo looks great and the full size graphic design incorparted looks amazing. We will be reordering this bag amongst others. I am in marketing and I use custom earth promos for there eco-friendly USB'S and seed paper products. I recently just placed an order with them personally for this wine tote, my family makes alot of wine every year and we hand it out to friends, work, neighbors, friends of friends etc. This wine tote bag made our lives easier and accents the bottle well because we traditionally do not put a fancy label on it because it is home made. I love working them, I suggest them to everyone. I suggest using their PET material products they are the greenest of the green when it comes to a recycled reusable bag. It is a very durable material and it literal is made from post comsumer water bottles and other plastics. Its a great way to promote your company and save the planet at the same time. My winery always uses there reusable wine tote bags. The printing and craftsmanship quality is the best that we have seen and we have ordered form a couple other vendors. I HIGHLY RECOMMEND using Custom Earth Promos for your winery/bar or liquor stores reusable bags. Very simple process ordering these wine totes on the website. I called to follow up to see if they received my order and they were already on it. On the ball staff at Custom Earth Promos, I will be using them again for future bag orders. Economically sound solution to the plastic and brown bag crisis, your customers will reuse these tote bags over and over again. Great party favor, our company always uses this product as a promotional party gift. We expected to get a stylish sophisticated looking reusable wine tote based on the full print design and edge details we submitted and approved for fabrication. When we received our bags it exceeded expectation, we are very happy and the bag is very stong which we did not know what to expect there. These wine totes are wonderful. They really make for a nice gift. Our bar uses this company for their reusable bottle totes. They always look good and we never have a problem with them. My cashiers love that we made the switch to reusable recycled bags. It was a real pain to use brown or plastic for glass bottles. These bags make the packaging of groceries much more efficient. Almost all of my customers have caught on to the process of bringing there bags with them to the grocery store. This and the other reusable grocery bags custom earth offers fold easy and store nicely in cars not taking up space. I suggest using reusable bags for your store. We customized this bag with a custom color. We submitted a sample of our red wine to them and they matched the color to our Merlot. The wine tote came out great, we were very satisfied with the finished product. We received our wine totes last week. The full print on all sides looks great and the stitching is sewn together well. I would reorder this wine tote. Eco-friendly way to go. We use this bag as well as the RB2 and PP4 to go grocery shopping. We ordered them a while back for my grocery store and all my customers and I love them. We wanted to offer a selection of reusable bags because everyone has different tastes and needs. The goal was to just promote green sustainable living and we ended up getting advertising and more business on top of spreading the green lifestyle. I love this company and what they stand for. The front slot on this bag is convenient, a great place to keep a wine opener or bottle opener. My customers and me personally love this wine tote. These custom wine totes make the ideal promo product for any company working in the hospitality, food & beverage or similar industries. That includes hotels, restaurants, bars, wineries and even supermarkets. Want to work hundreds of eager product-hungry attendees into a frenzy at your next corporate meeting, trade show, store opening or other promotional event? Wait until you start handing out these attractive wine totes out as free gifts to people passing your booth. With your logo and custom message prominently printed on your new bags, everyone you distribute them to becomes a mobile human billboard, promoting your brand wherever they take your bag. Our bags are useful in so many ways—they powerfully promote your brand and associated products, services and events, plus they send a clear message that you sincerely care about doing your part to create a smaller environmental footprint. You see them everywhere. During the holidays, at parties, at trade shows. 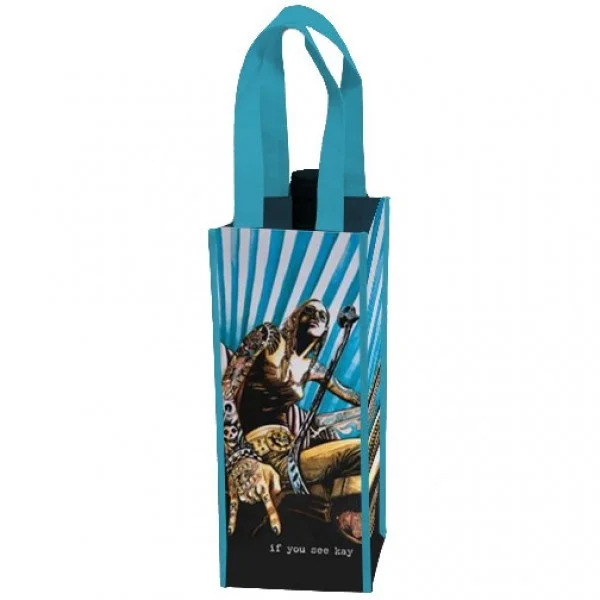 People love to use the Custom 1-Bottle Wine Tote from Custom Earth Promos to safely carry bottles and other supplies. And so many people give them out to friends over and over again. That’s because this classy tote adds a special touch of style when you’re giving someone the gift of a special wine. Our bag actually serves as an extra present that your customers will be glad to have every time they travel to a dinner party, or maybe to a picnic or the beach—anywhere people will be enjoying a nice glass of wine. Made from completely recycled material, this is the perfect promotional product to help effectively market your business. The second customers see these bags, they’ll know your business is making real effort to be environmentally conscious and take some responsibility for protecting the planet. And that’s really important to potential customers deciding whether or not to use your products and services. 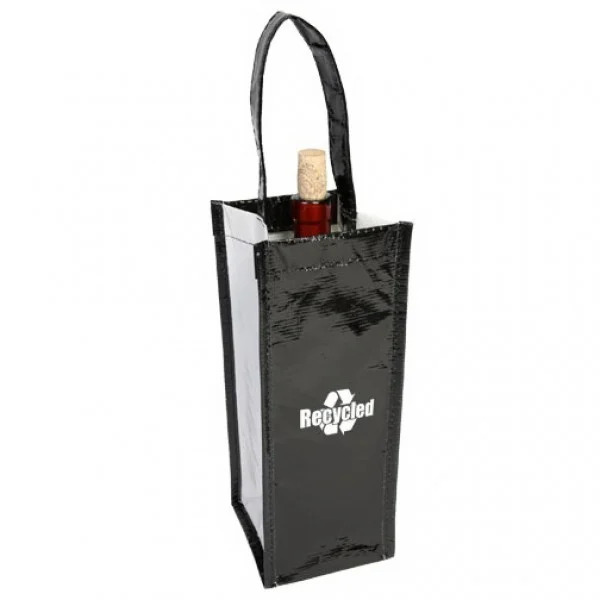 Available in a stylish, black-and-white color combination, our Custom 1-Bottle Wine Tote collection can meet all of your promotional publicity requirements. Made from an exceptionally durable eco-friendly material, customers love these bags because they know they’ll be using and reusing them for a very long time. Plus we'll tailor your totes with a customized imprint of your brand name and logo, adding a special message, maybe of support for a cause that is important to your company. Our experienced team of design experts will help you communicate your brand’s values and mission through our medium of art and quality craftsmanship. Custom Earth Promos is dedicated to creating products that keep both our customers and the environment safe. 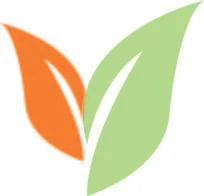 So you know that every bag shipped from our facility complies with California's Proposition 65 regulations and has been through a stringent battery of tests to confirm that they are free of hazardous pollutants. We want you to control every aspect of the design and manufacturing of your wholesale order of Custom 1-Bottle Wine Totes. So you’re totally satisfied before your products ever leave the factory. From matching your fabric color with your brand logo and color scheme, to adding edge-to-edge printing, we’ve cover every detail. You even get free accenting work with custom trimming down to the choice of your favorite color for the bag handles. We need only 8 to 12 weeks to get your premium quality, fully customized wine bags delivered right to your door.